The House Foreign Affairs Committee is requesting a briefing from Secretary of State Mike Pompeo on Jared Kushner's trip to Saudi Arabia last month over concerns that embassy staff was "sidelined" from meetings between Kushner and members of the Saudi royal family, including Crown Prince Mohammed bin Salman, the Daily Beast reports. Details: House Foreign Committee Chair Rep. Eliot Engel (D-N.Y.) and ranking member Rep. Michael McCaul (R-Texas) said the briefing should include all emails, receipts, clearance records and any other records on file regarding all trips overseas involving Middle Eastern leaders. The big picture: The trip to Riyadh was part of a larger Middle East trip in which Kushner and other advisers planned to discuss President Trump's highly anticipated plan for peace in the region. 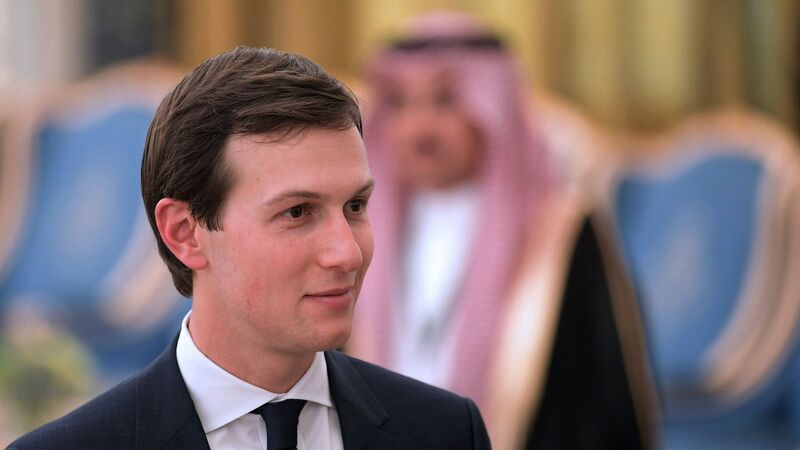 Kushner's close relationship with Mohammed bin Salman has come under heightened scrutiny following the murder of journalist Jamal Khashoggi, which the U.S. intelligence community has assessed was likely ordered by the crown prince.